These last few posts have been packed with birds, insects and even the odd Otter or two, but there are still a few things to share that I didn't manage to fit in elsewhere. 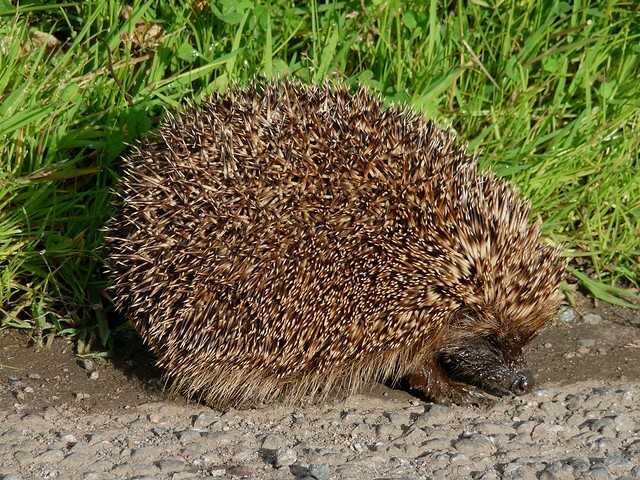 Perhaps our most surprising find on the island was the following Hedgehog that we encountered on our early morning drive to Iona. It was waddling along the road quite happily and seemed completely unconcerned by my taking its photo. The most nerve jangling discovery was an Adder not far from the house, a creature that I have wanted to see for a very long time. We were so close to stepping on it that the alternative outcomes don’t bear thinking about, but thankfully all was well in the end. The Adder looked less than pleased and after staring at us for a few moments it shot off into the undergrowth, hissing loudly as it went. Elsewhere in the valley we saw a couple of Common Lizards basking in the sun. The one below tried valiantly to escape but found itself running into the ground, hence the reason for its body being twisted upwards behind it in the photo. 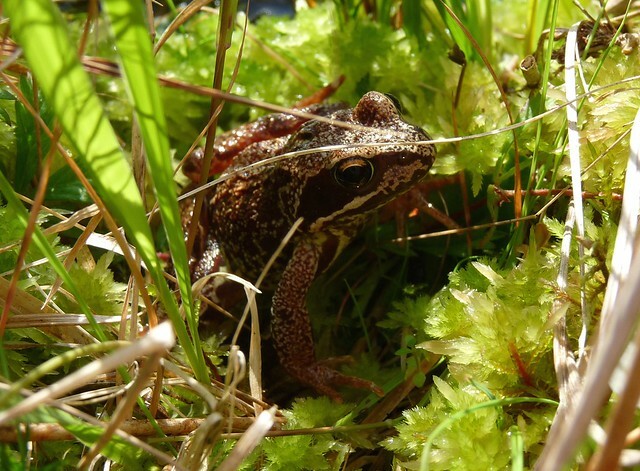 Frogs were also much in abundance meaning that careful footsteps were needed around any areas of water. This one was seen in a small pool less than a meter across where the old water tank for the house once sat. A spot of pond dipping in this pool revealed a wealth of creatures that I just would not have imagined living there. 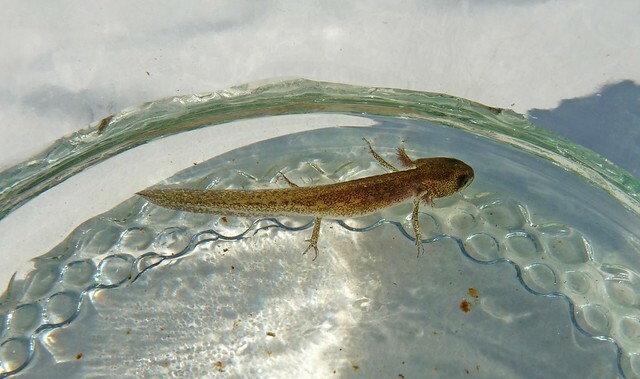 The first was a Newt (exact species unknown) of which we caught several youngsters at various stages of development. The one below was the largest measuring about five centimetres in length and still with external gills. 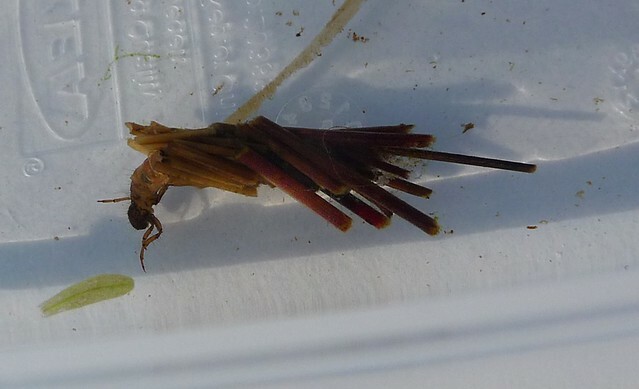 We also caught the following Cadisfly larva, a species that’s quite topical having recently being featured on Springwatch. This individual had adorned its protective casing with short sections of reed making for an excellent piece of camouflage. Other species seen but not photographed included numerous Rabbits, a Hare near Fidden on the south of the island and Voles galore. 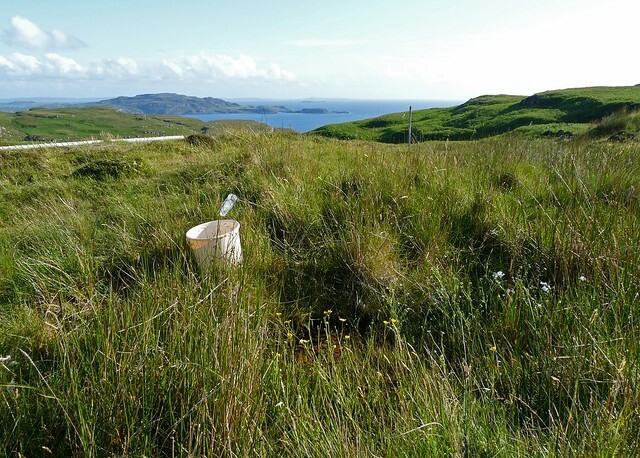 The Voles never stayed out in the open long enough for a positive identification, but other visitors have recorded Water Shrew and Field Voles in the vicinity. Their abundance probably explains the reason for the valley being able to support so many raptors. These two weeks alone we recorded two pairs of Kestrel, a male Hen Harrier, a Buzzard and two Golden Eagles. Even on the ferry trip home we were still being treated to new species of wildlife with a pod of Porpoise feeding in an area of water where several different strong currents met. An excellent parting gift. 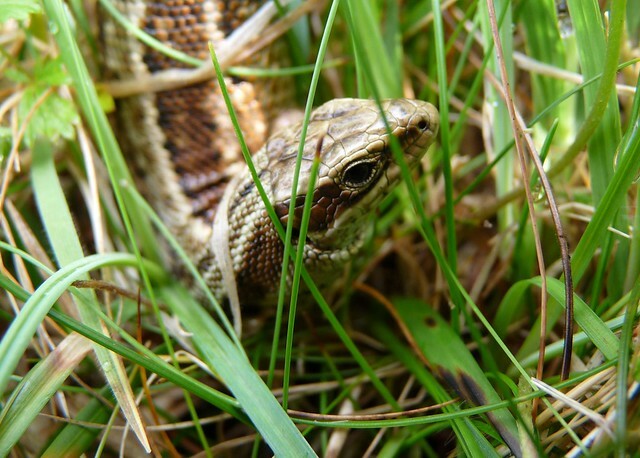 the hedgehog is adorable, the adder and lizard are beautiful, and your frog is so different than ours here in the US. very nice. Sounds like you found heaven Adam. Superb closeups and seeing the Adder for the first time (I haven't) must be up there with all your special moments. Fantastic shots..I love seeing your varied wildlife! What great spottings! The Hedgehog is one of my favourite animals. I rescued one when I was a teenager and he lived happily in our yard for a long time. Sadly our stupid gardener killed him when he put pesticide on the plants where the Hedgehog had his 'house' under. Great post. Keith - I think I may have done! Andrew - Thanks. 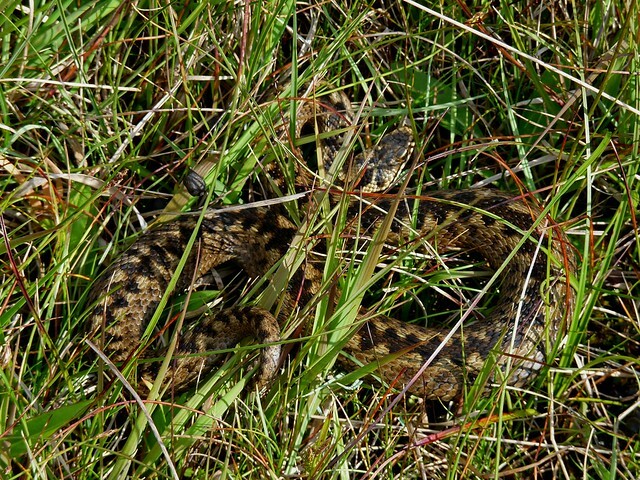 Finding that Adder was one of the highlights of the holiday for me. We did walk around a lot more carefully after that for fear of tripping over another. Samantha - Thank you. Glad you are enjoying them. JM - That's a brilliant and such a sad story at the same time. We used to feed the Hedgehogs regularly in our old garden but have yet to see any at the new house.